A farmer was crushed to death last year when his Jack Russell dog pushed a lever inside a forklift truck, causing it to drive into him, an inquest has heard. Dairy farmer Derek Mead, 70, was building a rockery at his home in Hewish, near Weston-super-Mare in the west of England, when the accident happened in June last year, the UK’s Press Association news agency reported. 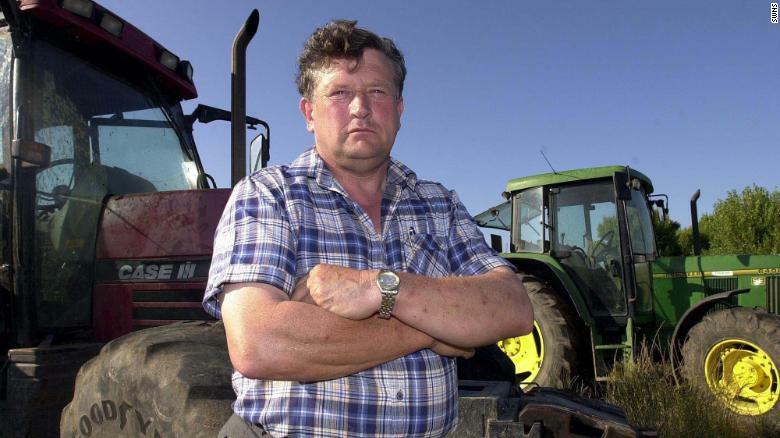 An inquest into Mead’s death heard that he left the vehicle in neutral and didn’t put the handbrake on when he got out to open a gate on his land. Mead’s dog remained inside the vehicle and is thought to have jumped onto the shuttle lever, sending the truck forward and into the farmer. Mead was pronounced dead at the scene and a post-mortem examination showed his cause of death was traumatic asphyxia and spinal fractures. Recording a conclusion of accidental death at the inquest Friday, Peter Harrowing, the assistant coroner for Avon, said Mead’s death was a “very tragic accident.” “The most likely explanation, which I accept, is that the dog that he had in the cab with him on that day inadvertently moved the shuttle lever, causing the forward motion on the Manitou, which sadly trapped Mr. Mead against the solid gate, causing injuries which he did not survive,” PA reported Harrowing as saying.